Flexible precise way of senders: adopting the frequency control of motor speed and special photoelectric encoder velometer, measuring compensation more timely and flexible;Accurate compensation make more accurate aggregate ingredients;Provide troubleshooting report to the police, at any time to maintain the entire equipment safe and continuous production. 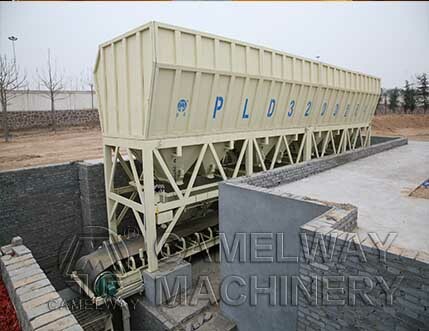 More optional configuration: in view of the silt content larger materials, providing customers with arch breaker with ingredients, to ensure that the material flow, meet the production requirements, at the same time also can guarantee the quality of finished product. This entry was posted in Saudi Arabia Batching Plant, Solution and tagged Concrete Batching Plant by camelway. Bookmark the permalink. 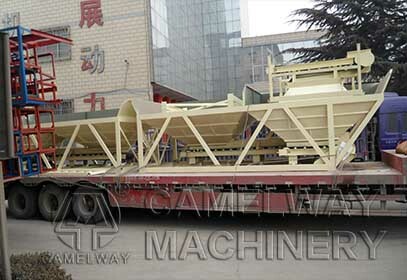 What are the features of Dual-axial Concrete Mixer?